The doors are closed but the legacy lives on. 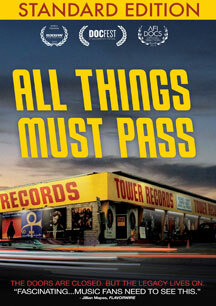 Established in 1960, Tower Records was once a retail powerhouse with 200 stores, in 30 countries, on five continents. From humble beginnings in a small-town drugstore, Tower Records eventually became the heart and soul of the music world, and a powerful force in the music industry. In 1999, Tower Records made an astounding $1 billion. In 2006, the company filed for bankruptcy. What went wrong? Everyone thinks they know what killed Tower Records: The Internet. But that's not the story. 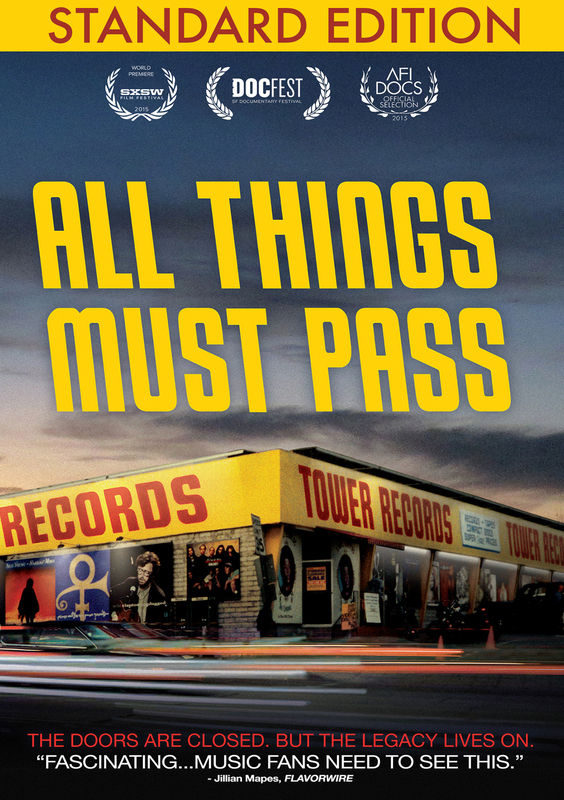 Directed by Colin Hanks, and featuring music icons like Dave Grohl, Elton John and Bruce Springsteen, "All Things Must Pass" is a feature documentary film examining this iconic company's explosive trajectory, tragic demise, and legacy forged by its rebellious founder Russ Solomon.